THE FIRST EPISODE, “Awake”, makes it clear this is Chloe’s story. An angst-ridden teen living in the fictional Arcadia Bay, Chloe is still coping with the death of her father and her mother’s douche of a new boyfriend, and not doing a good job of it. She’s far more interested in drinking, smoking, ditching school and smart-mouthing everyone she meets than anything else, so you know it’s only a matter of time before things go completely off the rails. Which of course it does, when Chloe goes to see one of her favorite bands play an underground show at an old mill out in the middle of nowhere. She picks a fight with the wrong guys, when she’s is unexpectedly rescued by one of Blackwell’s supposed good-girls, Rachel Amber. There’s an immediate attraction between the two, but neither seems completely sure how to deal with it, as Rachel lures Chloe into playing hooky the next day. Because Chloe doesn’t have Max’s time-rewind ability, her gameplay is tweaked slightly from Life is Strange. This time, to “win” arguments and push the story forward, you have to listen for keywords from other characters. Otherwise, the gameplay is almost identical: the first episode is made up of about ten scenes to explore where you try interact with everyone and everything you can to unlock pieces of the story. The puzzles in the episode are pretty simple, so it’s more about experiencing the story than wracking your brain. WHILE “AWAKE” is a welcome return to Arcadia Bay, the first episode is also pretty short. My first playthrough clocked in under three hours, and it wouldn’t surprise me if others finished it under two. It’s worth interacting with everything you can, to try and milk every piece of the story available, and afterwards you can review your choices and compare them to other players. 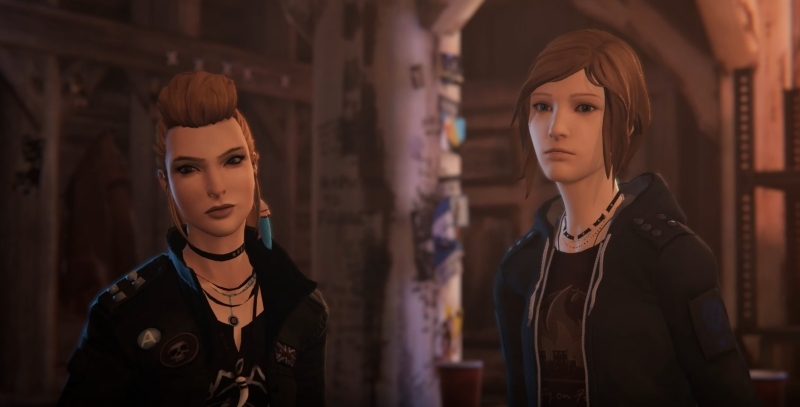 Knowing Rachel’s eventual fate, and the eventual return of Max in Life is Strange, it’s a little weird watching the evolving relationship between Chloe and Rachel. And the writing, particularly the dialogue, is a little clunky and unconvincing at times. But the bones of a good story are here, and for a $12 return trip to Arcadia Bay, that’s good enough for me right now.